We create apps that help you to be socially active. At ChicMic, you’ll find a range of bespoke social networking apps for iOS & Android. 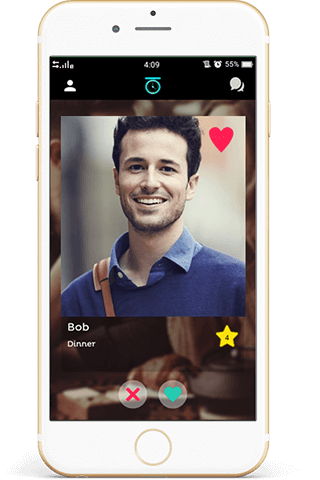 Toga is one of the best creations developed using Java & Objective C. Featuring Geolocations, Facebook Integrations and Swipe & Chat, our dating app delivers value. Our highly advanced apps with socket programming for real-time chat ensures network security. Get your Social Networking App developed! 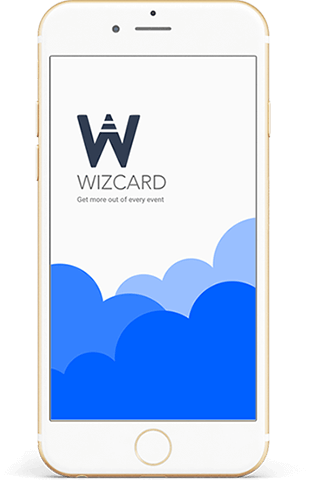 Being experts in building solutions for any industry, we have developed a variety of business applications such as UPD Capture, Wizcard, FixYour Funnel & Charge Savvy. Our apps have risen to the top positions & featured on the Google & App Store. We have successfully launched over 100+ business apps for iOS & Android. In addition, our enterprise-specific apps are developed using advanced technology. Stuck with your app development idea? For mobile travel app development, hire developers at ChicMic. 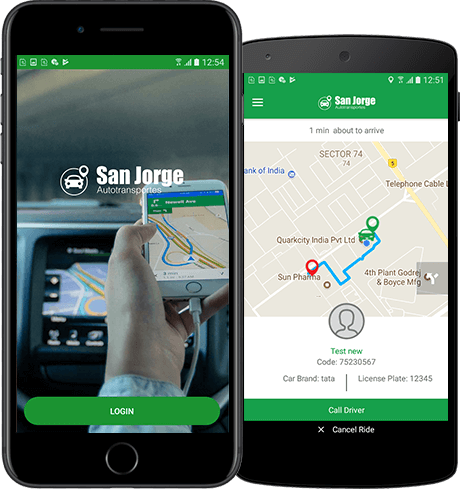 San Jorge, San Jorge Driver, Safe Trip & Ten 65 developed using Java, Android Studio, Objective C & Xcode are the best-developed travel based mobile apps with great App Store & Play Store ratings. Uber Like App Service Integration in San Jorge has increased its downloads. From Geo-location tracking services to Social Feed Integration, our travel apps are gaining popularity. ATM Finder, Whistle To Find, Clap To Find, Speak To Find, Whistle To Light, Clap To Light & Speak to Light & TextSpeak Notify are the smart utility apps by ChicMic. Our Unity Apps featured on Appstore & Play Store enhance device’s functionality with Flashlight Usage, Camera, Watch, Alarm & Calendar Integration, Smart Security & Wireless Control. Hire us for Utility Mobile App Solutions. Hire Mobile app developers for Educational App Development! Our expertise in Education based mobile app development services has led us to develop immersive learning apps for iOS & Android. We have developed many mobility educational solutions such as Coding is Good & Grow Beyond for student engagement & academic enhancement. Our educational apps are developed natively for iOS and Android or using a cross-platform framework like React Native. ChicMic, a Mobile Application Development Company in India & USA promise to deliver feature-packed mobile experiences within your budget. From strategy to launch, our mobile app development services & solutions are designed to convert your app idea into reality. For a complete range of mobile application programming services, hire our talented mobile app developers. We are experts in native app development for iPhone, iPad & iPod. Backed by Swift & Objective C, we have developed iOS apps & mobile games for Social Networking, Multimedia, E-commerce & AR/VR. We are experts in developing cross-platform applications based on Visual Studio Code, Realm Studio. We’ve developed 100+ apps, deployed across multiple platforms. We offer IoT Solutions for all projects be it Healthcare, Automotive or Industrial Applications. Using IoT in innovative ways we provide hi-end solutions. We are an Android App Development Company that delivers state-of-the-art Native Android App Development services to over 300+ clients across the globe. Hire UI/UX designers for Mobile Application design services. From designing visual elements to testing, our UI/UX design services cover every aspect for optimum functionality of the app. Interact with the digital world with our AR apps. We deliver trusted AR apps solutions to different industries & different devices based on advanced level programming. Everything begins with an idea. We understand that your idea is incredible and we bring-in our expertise and experience to explore and validate your idea. Our dedicated team of Analysts and Designers collaborate to envision, refine & elaborate your concept into a Specs document. Project decomposition, resource allocation, project schedule and budget are defined and stakeholder communication plan is established. Our Project Managers work closely with Design, Development & QA teams to ensure timely delivery beyond expectations. We give full support in app deployment on all platforms, marketing assistance & growth hacking thereafter. Based on analytics & user feedback, we quickly make changes to scale to the target audience. Our glorious history is the result of our Excellence, Quality, Sustainability & Team Work. Choose us, we promise big results! With 80+ dedicated team members, we provide end-to-end design and development solutions for application, game and web requirements that ensure user engagement & retention. We are completely flexible in providing engagement models based on your project requirements and budget constraints. Our developers analyse the project’s budget & scope in advance to ensure transparent pricing structure involving ‘per hour’ & ‘per project’ rates. We take deadlines seriously! Our experts analyse the requirements & communicate with timely updates to ensure transparency and on-time delivery of projects. Being committed to excellence, our team has access to all the mobile app development tools & kits to maintain robust & scalable app infrastructure. 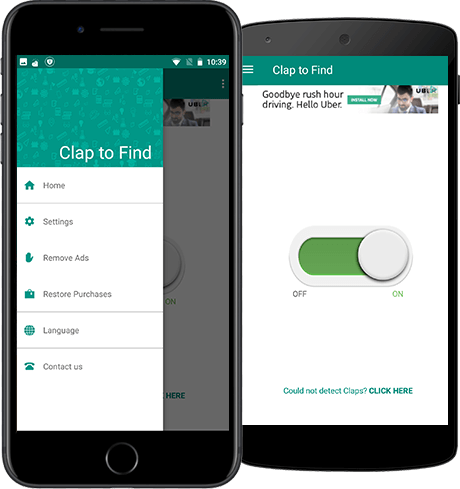 Clap To Find is a well-designed & feature-rich application that gives an end to your search for your lost phone anytime anywhere. 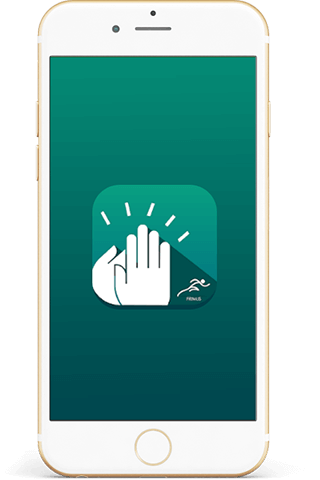 We have created this app to lessen your burden in a smart way. A simple download will help the users find phones within a range. 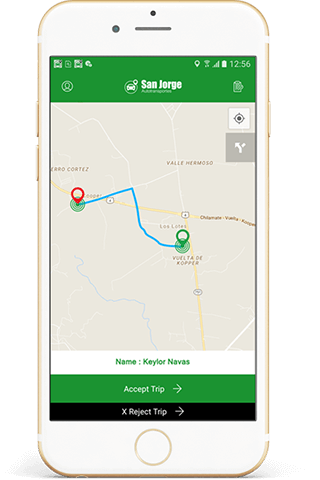 To keep the drivers safe behind the wheel, ChicMic has developed San Jorge taxi app with innovative tech solutions. It is technologically enhanced & facilitates driver/ rider experiences. For an incredible ride in Costa Rica, San Jorge is the best choice. 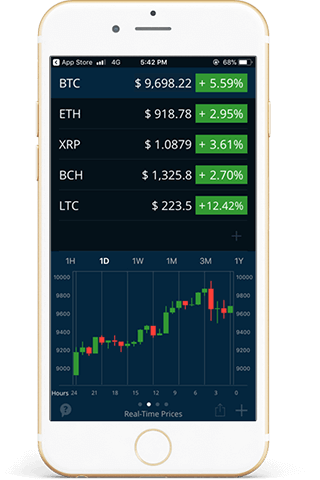 HODL is a simplest & smartest mobile solution that helps users manage & track cryptocurrency portfolio. This app connects the user to all the exchanges & keep updated. 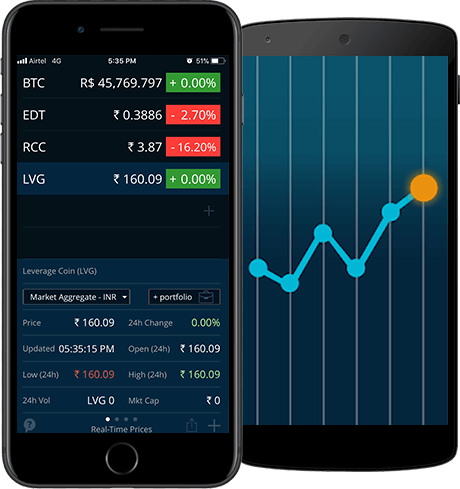 Using this intuitive app, one can get an overall picture of the global market trends hassle-free. We built a react native app for both iOS and android. I enjoyed working on this react native project together. He provided reliable and fast work as well as helpful advice on how to structure the app, adjust libraries and fulfill various requirements. Communication and availability was generally good and prompt. Would work together in the future. Fantastic work from ChicMic. They did the work to exact specifications and gave me great suggestions as well. They are highly skilled developers and I highly recommend them. Hired ChicMic to build a very complex mobile app for Amazon sellers. They built the app from the ground up using React Native. They saw the project through until the end and were attentive to all my requests and suggestions. Very good work. Very talented programmer. Good communication. Always delivers high quality results and respects the deadlines. I strongly recommend. It has been a great overall experience working with the team at ChicMic. The quality of work is top notch and they put in their level best in helping us to launch the project within short time frame. Although there was a little issue with the full understanding on the requirements, it was quickly resolved. Will definitely consider working with them again. Good experience! Willing to help you until everything is perfect. The ChicMic team is an awesome group of designers and developers. I’ve used them for a couple projects and will continue to use them! They are a group of hardworking individuals and they will almost everything to help you out with your project. Whether you need more time to think about things or need input, they are always there. They are always in constant communication with you and will do what you need them to do. Professional, work completed in a timely manner and easy to communicate with. Would recommend to others for Mobile. Fantastic all round attitude, clear communication, and always willing to go the extra mile. ChicMic provided what was requested, and we are more than satisfied with the outcome. How safe is my idea? Your idea is completely safe with us. We normally sign an NDA before we discuss your app idea to ensure its safety. We can even sign NCA (Non- Compete Agreement) in case that is also required from your side. We secure your information from unauthorised disclosure & access even during project development phases. Moreover, to keep your app idea in strict confidence we sign a legal agreement with our employees & ensure security. We do not re-use your proprietary algorithms, license keys, trade secrets, trademarks, patented processes with any other party. But, for an ideal authoring code producing process, we make use of our own & third-party open source libraries to reduce complexity & cut down the development time. This will save you from paying for things that can be produced in the shortest time duration with better quality. What is your project development methodology? We strive to deliver a valuable product to clients with different project ideas. In general, we have a common set of steps for all projects which includes Requirement Gathering, UI/UX Design, Prototype, App Development, Quality Assurance, Deployment, Support & Maintenance. But, for every unique project, we have a unique approach. Our project development approach may vary based on the type & scope of the project. Who owns the app and the source code? With regards to ownership rights, since our engagement is Work for Hire and we are getting paid for our services, you completely own all the IP related to the app developed. You own the bespoke source code that we write for you. Do you work according to the client’s time zone? 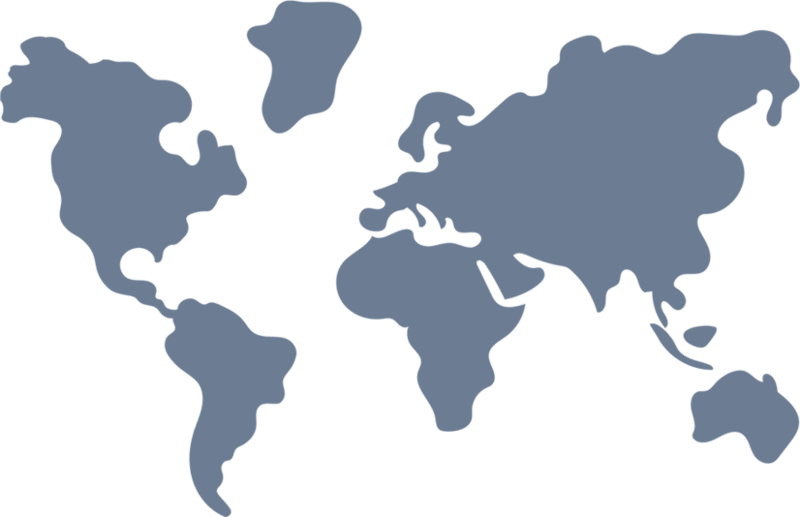 Well, the different time zones have never stopped us working with the clients from all over the world. However, all of our development work is done by our team during our working hours. We do understand there might be situations where you want us available during your time zone. Therefore, to make it convenient, it would be great to schedule dedicated time in advance. This will let our concerned team streamline the rest of the tasks accordingly. Which framework or programming language would you use to develop the apps? Do you also upload the apps to the app store? Yes, we upload your apps to app store & we do it at free of cost. Can I make one app which would work on all platforms (like iPhone, iPad, Android)? Yes, we have a team of React Native developers who develop cross-platform apps compatible with all platforms like iPhone, iPad and Android. Can you use the graphics / UI which I have created? Yes, we do not have any problem working with your designs as long as you assure the effectiveness & quality of the designs. If you have a team of designers then you can simply hire us for programming only. But if your designs will not meet our standards, then we will be honest. I have a technical team at my end. Can you work in conjunction with them? Yes, definitely we would love to work with your technical team. A collaboration with your team members will help both get to know each other’s requirements in detail. This will improve the quality of our app development process & help you know our technical strength. What software do you use for 2D Graphics & 3D models for Apps? We are experts in designing for both 2D graphics & 3D models. For 2D graphics, our designers use a combination of software including Adobe Photoshop, Illustrator, Sketch, Affinity and Corel Suites to create a stunning visualisation. In addition, we’ve a team of 3D Animators that use software like Autodesk Maya, Zbrush & Substance Brush for all genre of apps.